I’m always on the look out for healthy and vegetarian nibbles. 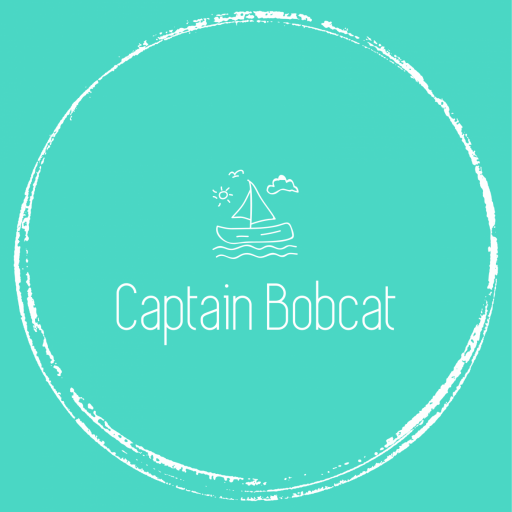 Bobcat is a very picky eater, he currently doesn’t eat any fresh fruits or vegetables apart from a little banana and some tomato. No matter how creative and persistent I am, he just won’t eat them. Therefore, I’m keen to try new things just to make him eat some more natural fibre, vitamins and minerals. So when Nim’s asked me to review their product range I got excited. 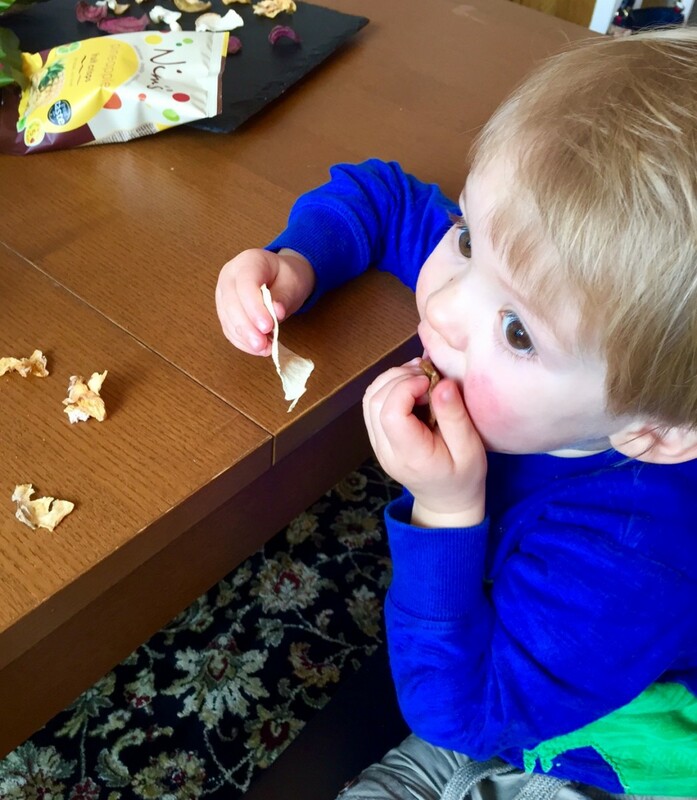 I was already a big fan of the veggie crisps available in the supermarkets, but they are all too salty for a toddler. 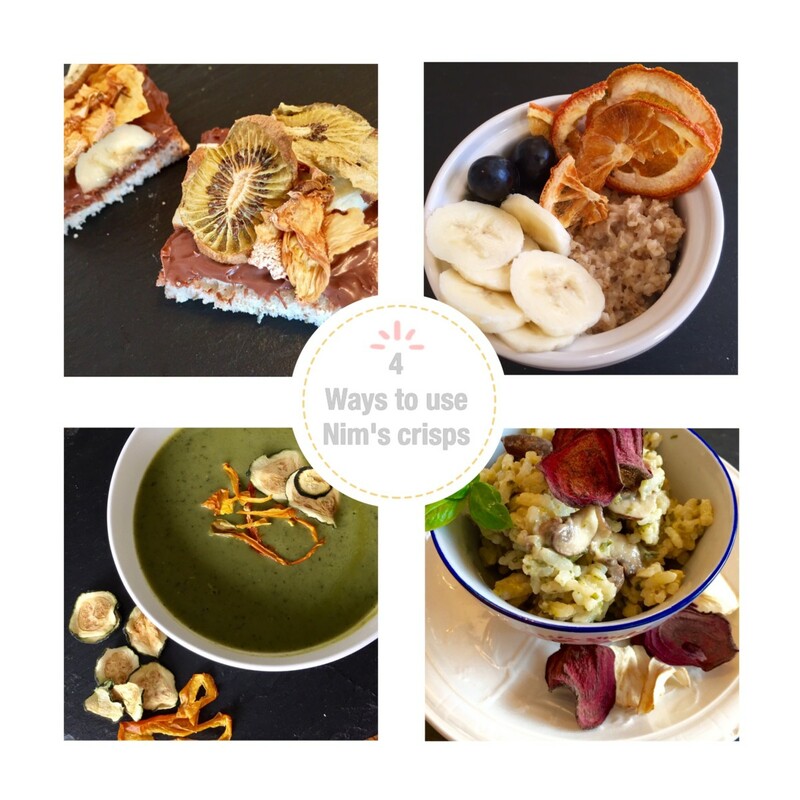 Nim’s all natural crisps range is invented by a fellow mum, who was looking for healthier snacks for her children. They are air-dried snacks because this way they keep most of their nutritional content and natural sweetness. Nim’s sources locally grown (British) fresh products and produce no waste. I was in love with the idea even before tasting them. Tastewise, they are not super sweet nor salty, but naturally crispy and the packs are coming in a few lovely combinations like my favourite: kiwi and pineapple. I only wish they would come in bigger packs as we finished the entire range in a few days! These crisps make a lovely addition to your meals too. Just a couple of ideas to use them: adding them to your morning porridge or topping a hearty soup or risotto. You can also make mini open sandwiches with chocolate spread and banana then top them with fruit crisps – lovely party food idea! 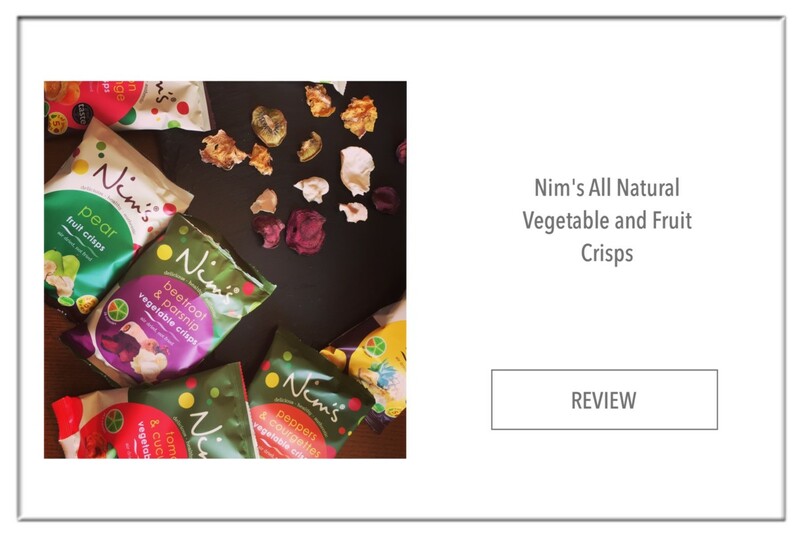 Nim’s currently planning to launch a special product range for kids and crowdfunding it with Tesco Backit as they are passionate about helping to combat unhealthy snacking habits for children. I’m more than happy to promote this innovative, award winning and independent business.